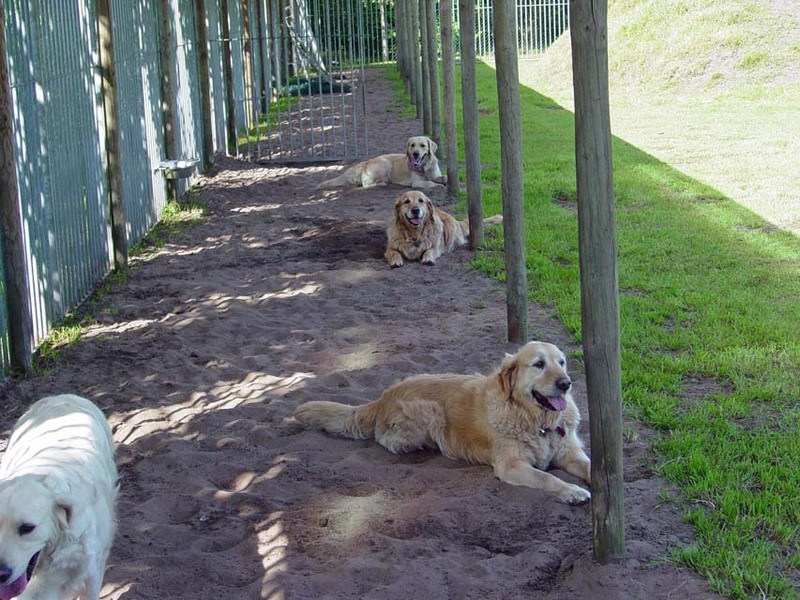 What does a stay at Animal Hotel De Klaverhoeve look like for your dog? If this is the first time your dog is staying with us, he will feel a bit insecure the first day. Your dog will probably not eat a lot or not at all. The second day will be a lot easier. Your dog will have a lot more attention for the other dogs and he will quickly want to play. Food is no longer an issue. On the third day your dog will recognize his attendant. He is friendly and/or enthousiastic a he will run around happily on the playgrounds. You dog will be on the playgrounds with another dog or with more dogs, depending on his social abilities. 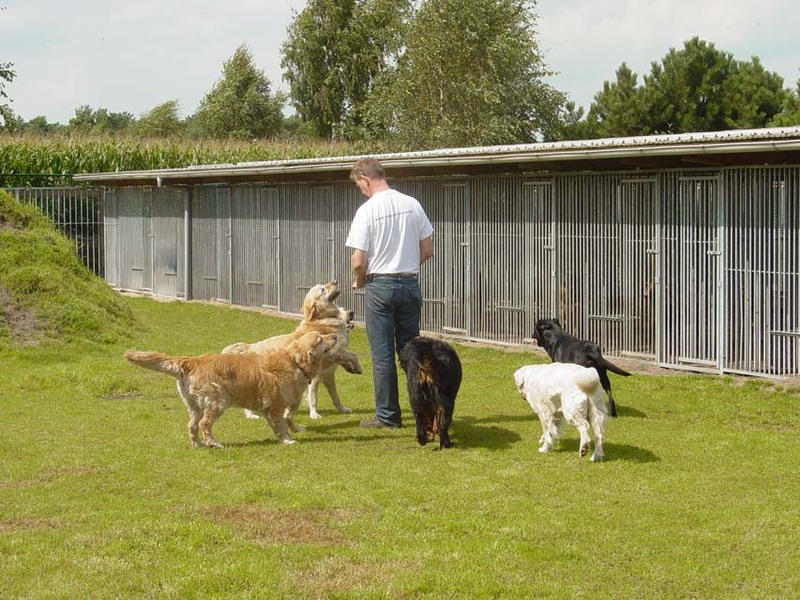 We carefully handle a frightened or reserved dog to make the acquaintance with his regular attendant easier. We can never enact the situation of a living room. We always strive to keep the area clean but it is almost inevitable for the dogs to get a lit dirty from time to time. That is why we thoroughly check all the dogs. You will able to welcome a happy, clean dog when you meet again.